Childcare in aged care, uni students living with residential care folks, I love a good project that gets the generations connecting with each other, and I’ve been invited into a great local opportunity. Calling Adelaide young people and seniors – we’d love to involve you in this excellent project about capturing people’s stories in video! This fantastic opportunity is a collaborative effort between a number of different organisations, and I’ll be supporting it with some training/facilitating. You don’t need any experience, I’m really happy to help you learn some new skills and get to play with some documentary techniques on simple equipment you probably already have access to at home or school. This can be very useful for school homework or your own creative projects. For young person aged 13 – 25yrs we are running a FREE workshop on interviewing and filming techniques! 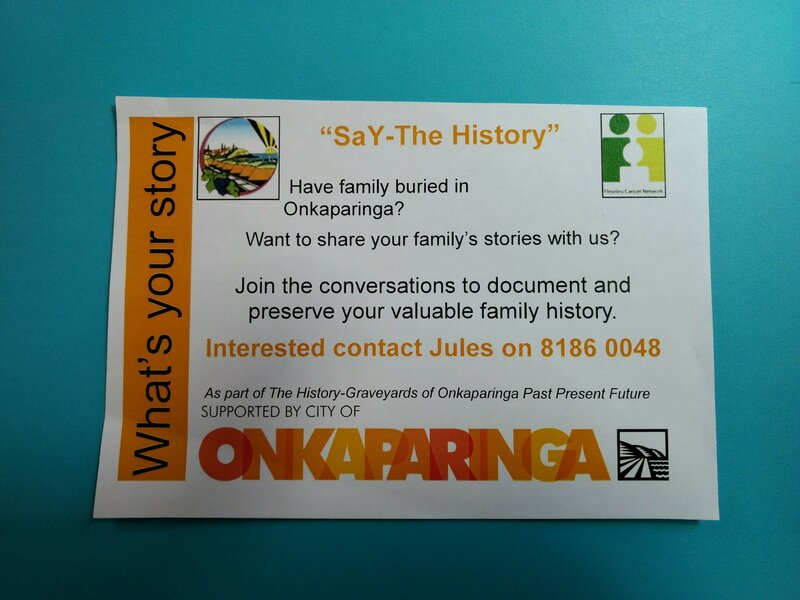 For more info or to book in contact Alice on alice.sheppard@onkaparinga.sa.gov.au or 0400 279 328.
advocating for better health in the Onkaparinga region. Fleurieu Cancer Network is a non-government community organisation advocating for better services for people with cancer their family and friends. City of Onkaparinga Youth Committee is a group of young people aged 15 – 25 who are dedicated to representing views of young people in Onkaparinga and are involved in various leadership opportunities. things differently to many traditional Rotary clubs with less focus on meetings and more focus on community projects and partnerships.